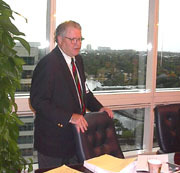 Charles Pearlman, partner at Adorno & Yoss, and former SEC Chief Attorney, is the keynote speaker. 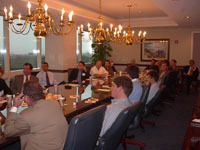 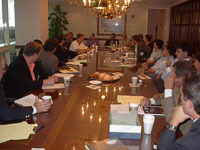 The event was held at Adorno's boardroom in Fort Lauderdale. 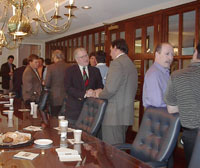 Over thirty attendees network afterwards.